1. The end of the season is getting close, how would you describe this season? Are you satisfied with your teams performance? I think this season came as a shock to many football fans as well as Palace fans. The first half was underwhelming and fairly disappointing, especially being statistically the worst team in the country. With this in mind, Palace fans should count themselves lucky to be in the Premier League next year and if it wasn’t for Big Sam, championship football would have been extremely likely. We’ve had extortionary games like beating supposed runaway champions Chelsea 2-1 at Stamford Bridge and then Arsenal who we haven’t beaten in 15 years, 3-0 at Selhurst Park, a game that will forever be one of my best ever matches. However, we’ve also had diabolical matches like the 4-0 loss to Sunderland for instance. I’ve never seen or heard an atmosphere at Palace that was so toxic. Funnily enough, I’m starting to believe that loss to Sunderland was a blessing as since then we’ve put performances together that could amazingly still see us finish mid table, something I and the majority of Palace supporters would have laughed at six months ago. The second half of our season has more than satisfied me that we have a set up able to stay in the top division for the foreseeable future. 2. You changed your manager halfway through the season, what are the biggest differences between Alan Pardew´s Palace and Allardyce´s? The difference between the two is extortionary. Pardew played a more creative game which was understandable considering he had creative players at his disposal like Wilfried Zaha, Yohan Cabaye and Andros Townsend to name a few. Pardew’s tactical game was not up scratch though as defensive duties seemed all over the place, especially at set pieces. I enjoyed Pardew football in his first season with Palace as it was exciting but looking back it seems like it revolved more around scoring more than the opponent. According to opposition fans, Allardyce’s football is fairly tedious and boring to watch but nine times out of ten it does get results which is exactly what Palace needed when Pardew was sacked. After watching Allardyce football for a while now, I don’t believe it’s boring as others have said I mean, we went and beat Arsenal and Chelsea. Let’s bear in mind that Big Sam has never inherited a squad (apart from England) with so much quality so really, has never shown what he can do with players like he’s got now at his disposal. If there was ever a time for him to prove he’s not just a relegation saviour, it would be right now. The job Allardyce has done at Palace is extraordinary and I don’t believe he gets the recognition he deserves. 3. Do you think Allardyce will be at Palace next season? If not, what kind of manager do you want at your club? I’m 99% certain that Allardyce will be at Palace next season and I hope he is. He’s an organised, tactically aware and traditional manager and I feel he’s still got a lot to offer Palace. If for some reason Big Sam takes his survival bonus and runs then I’d maybe opt to see Roberto Manchini or Eddie Howe come in. Roberto because of his success and creativity as a manager at Manchester City and Eddie because he’s done a fantastic job at Bournemouth and I feel he’s due a chance with a squad of more quality as I do wonder how far he can go with Bournemouth. 4. 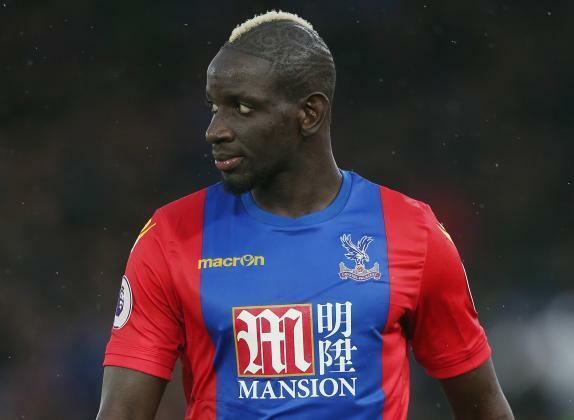 Tell us a bit about Mamadou Sakho´s time at your club, how has he played? Sakho has been immense so far at Palace. He’s a simple yet effective defender in the fact that he will intercept the ball wherever and whenever he can and if he can’t, will bully the opposition and get in their way. He’s proven vital for our survival this season and myself, pretty much all Palace fans, Allardyce and the board want to see him at Selhurst permanently, for whatever price Liverpool ask. 5. Who would you say is your player of the year and why? If Palace had played all season like they have in the second half of the year, this would be an extremely difficult question. However, as we haven’t it’s not hard to see who our best player has been and that is Wilfried Zaha. Zaha has many doubters in the media but has more than proven them wrong and stepped his game up to the next level. Zaha’s final product was a huge question mark at the beginning of the season but over the course of the 2016/17 campaign Wilf has provided. Six goals and nine assists in 28 games for this season along with five man of the match awards. Despite the overall performance of the team, this is proving to be Wilf’s best season yet. After watching Wilfried for the past decade or so, it’s been amazing to see his progression in the game. The winger never used to track back if the ball was lost and used to give up if a counter attack fell apart but those times have long gone. Zaha’s overall game is getting better by the minute and for him to stay at Palace this summer admit interest from Tottenham, he would be like a new signing. 6. What do you need to do this summer to challenge higher up in the table next season? Firstly, we need to sign Mamadou Sakho. I believe he fell out with Klopp at Liverpool and maybe the reds are looking to sell permanently. 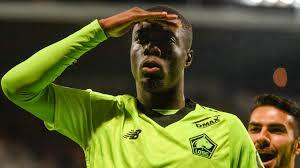 If they are, all Palace fans would be over the moon to see him move to South London for the long-term. Palace could also do with another option up front, between the sticks and at right-back. We’ve basically been playing with just one striker all season in Benteke since Connor Wickham did his ACL so another option wouldn’t go a miss. If it was a perfect world and I could choose who joined Palace, Jermaine Defoe would be top priority. A goalkeeper would also be a logical addition what with Steve Mandanda probably going back to Marseille in the summer. Again, it seems we’d be raiding Sunderland but Jordan Pickford would be the best option. Joe Hart could also be something that would interest Allardyce, of which would be a right coup. Finally, a right back would be fantastic in terms of squad depth and competition. Joel Ward has been our only out and out right back for a long time now and getting someone else in would not only help the squad and options the gaffer has but also push Ward to compete for his place. 7. What are your thoughts on Liverpool´s season, do you think we will make top 4? I feel like Liverpool are always a tough side to predict. You never know what type of side will turn up. Goals aren’t the problem though, its defending which is ironic considering Mamadou Sakho cleaned up our defence as soon as he arrived. Liverpool have done enough to get their much anticipated top four spot this season but if you guys are to push on, investment into the defence and goalkeeper positons seem important from my perspective. It appears the top four have been spilt up what with Chelsea and Spurs creating a gap between Liverpool and City. I can’t see Chelsea giving away the title this year so I believe the top two will finish as they are. Liverpool have surely got a top four spot, you’d have to go on an awful run of form to lose that, but then again, you still have us to play! Arsenal have too much quality to finish outside the top five so I can see them stealing United’s position and keep them in sixth, much to every other fans amusement.